I know it’s so late, I do. In fact, these should almost be another post in my “Never-On-Time Series,” since both of these desserts were made in past years. However, a few of my friends still insisted that I share, even so late. They promised you would still like seeing these treats, so please prove them right, okay? 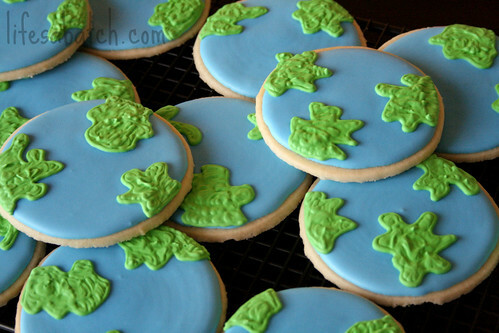 I made about 30 big Earth cookies, and each one was slightly different, as I just piped random shapes of green on the blue-iced globes. Cute! And, serious biz, they couldn’t possibly have been easier to make. Really. 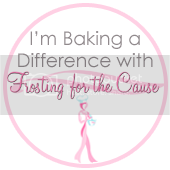 You could knock out 30 decorated cookies in an hour or less, I promise! 1. 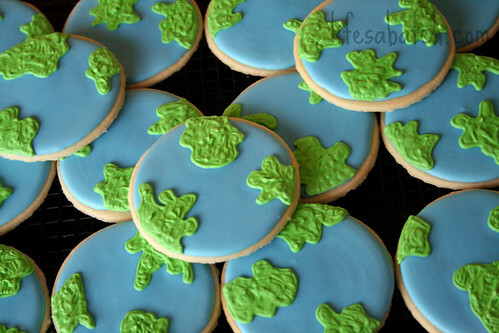 Bake circle-shaped sugar cookies. 2. Pour blue 20-second icing into a shallow dish/plate. 3. 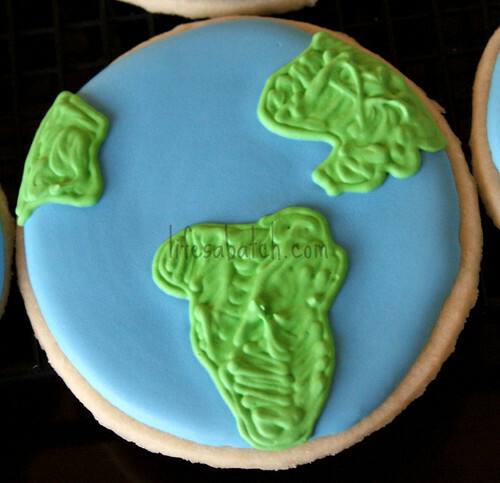 Dip cookies into icing until evenly covered. Remove & lay on racks to dry a bit. 4. 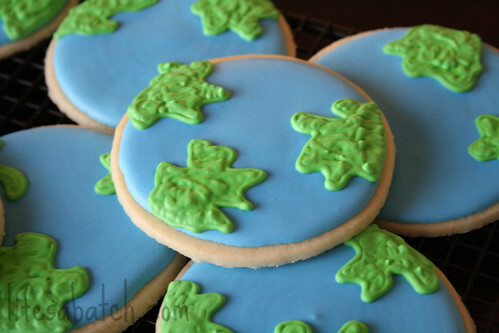 Tint piping consistency icing green, and pipe random continent shapes on the drying blue cookies. But TWO years ago, I was just getting my start in cookies, and I wasn’t as brave to “share” my work yet. 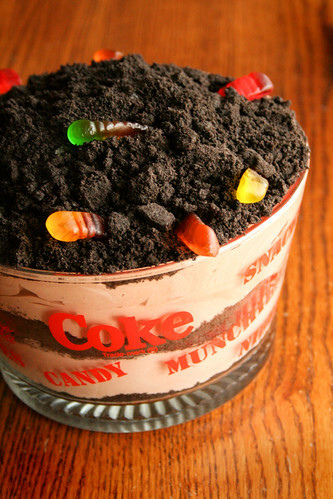 Instead, I made a classic: Dirt Cake. This is a favorite in our family, and it always goes over well with crowds. It really couldn’t be easier to make, and I don’t usually go for the full “put-it-in-a-flower-pot” presentation, even. Don’t let not having the right props keep you from making it. You NEED this “cake” in your life! In a food processor or blender, crush the entire package of Oreo cookies. (I can only put 5 Oreos at a time in my blender without causing it to stop. It’s a long process for me.) Pour 1/4 of the crumbs into your serving dish (a flower pot or regular pretty dish). In a large bowl, cream butter & cream cheese together until light & fluffy. Add vanilla & powdered sugar; mix well. 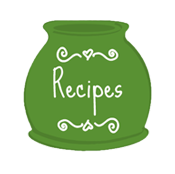 In a separate medium bowl, combine milk & both packages of pudding mix until well blended. Fold in Cool Whip until combined. Fold pudding mixture into cream cheese mixture. Layer 1/3 of the cream cheese mixture onto the crushed cookies in the serving dish. Top with another 1/4 of the crumbs, and another 1/3 of the cream cheese mixture. Repeat layers one more time & top with last 1/4 of the cookie crumbs. 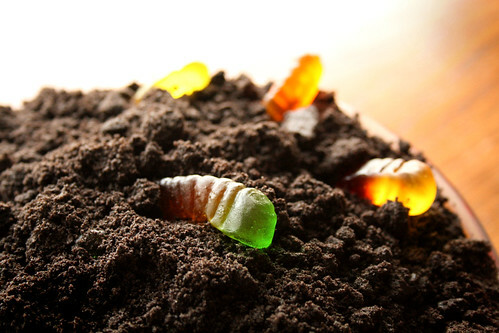 Push gummy worms into the crumbs for decoration. Refrigerate for 3-4 hours before serving. 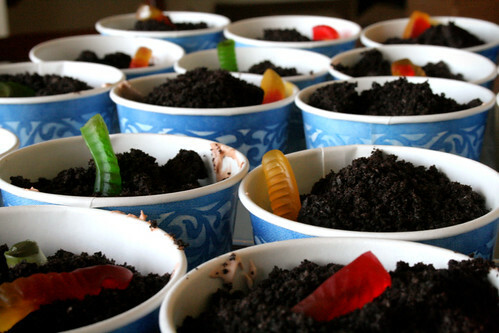 I made 44 individual cups of Dirt Cake for both my boys’ 2nd & 6th grade classmates. My youngest was SO excited to hand these out, and ALL of the kids loved the sweet treat. They were the jealous talk of the school. 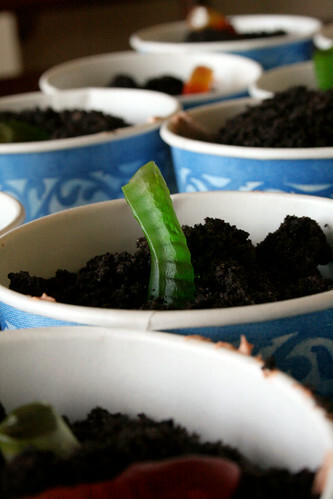 Personally, I can’t do the gummy candies, but if you asked Jack, he’d tell you that it’s not “real” Dirt Cake if there aren’t worms included! « Easter From the Archives. Your friends are right! I always enjoy seeing your treats. Now that I see them again, I do remember them from last year and it is always nice to have a great idea resurface. Oh Paula, you give me way too much credit! I never got around to posting these pictures last year, and the year before, I didn’t yet have my website. 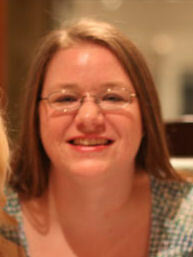 I had to edit these just a few days ago, finally, LOL! DIRT DAY, WE HAVE THAT HERE!!!!!!!!!!!!!!!!!!!!!!!!!!! And Dust Day too, I bet!